Heavenly Himalayan Holiday 2018: September 30 - October 15 - Let's GO! When you do something long enough there is a point when it feels eternal. The human mind thrives on patterns and rhythm. A different drumbeat for each place, each activity. Follow one long enough and it gets stuck in your head, overrides other things. 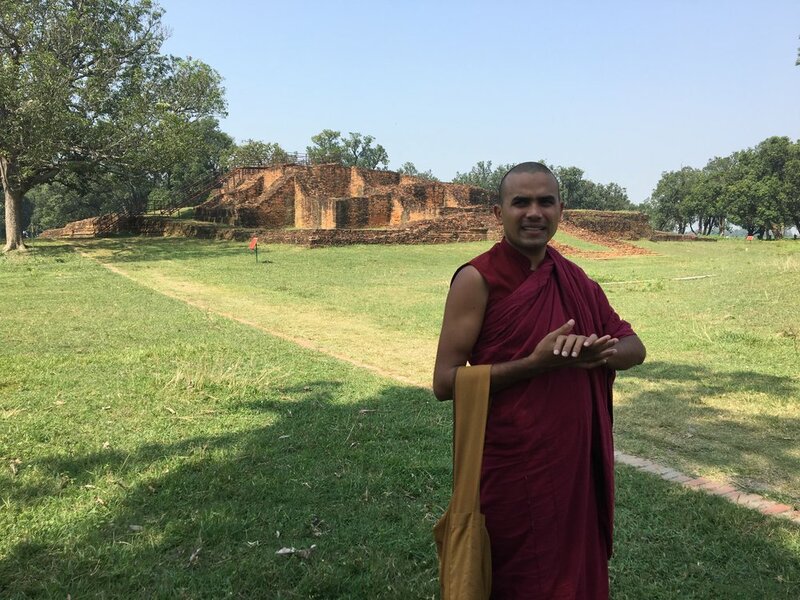 By mid-February I had been teaching in Lumbini for 2 months. It was a powerful pattern: journalism club on Mondays, Wednesdays and Fridays; reading and playing on the others. Saturday was the only day off, filled with delicious local sweets (ladoo, soan papadi, kheer) and local friends (Mahesh, Mohan, Vivek.) At night, the fog closed in and Lumbini seemed the world entire. But a pattern is an infinity until it isn’t. In those days my thoughts were full of only Nepal, the classes to teach, the plans to make, the cities to visit, the meals to eat. But when I passed the halfway point something seemed to slide, and here at four months my thoughts are consumed by what comes next. I have inherited my mother’s love of dreaming ahead, of browsing places to live, things to buy. There is something so intoxicating about the future that it annihilates the present. Plans are imagined and never begun, but the imagining is enough, it brings that glad feeling backwards from the moment of completion. It is so easy to get lost in the future. And I have been finding myself there as of late, especially with an upcoming trip into the mountains, I compose this to make sense of the past. There are lessons here, I think. I am still learning them. There are moments when teaching is transcendent. There are moments when it is anything but. Everything depends on the level of engagement I can elicit from my students. If I have a topic in English they think is useful, or a game or an exercise that they can go along with, then it is easy going. But all too often I find myself teaching at a level above my students, having to ask “do you understand” every few seconds. Some students in my classes, especially the higher level ones, really don’t understand the material I’m asked to teach them. This, and a shyness beaten into Nepali girls, can make for frustrating class periods. Many students will not speak when called upon, nervously chewing pens or staring at a classmate for help. As hard as it is for me it must be worse for the students. No one deserves to be in a class above their level, it’s a humiliating experience. I mulled over possibly starting a remedial course, but the administration didn’t seem particularly enthusiastic about that. Being called on in class and not knowing the answer is humiliating enough, but being taken aside to start from the beginning could be even worse. The classes that were most in need had the most to do anyway, they leave early to go work in their homes and prepare for life after school. I do my best to simplify my language. Journalism club continues to be excellent, and while I haven’t made as much progress as I’d have liked with the recordings I find myself nurturing the stories of half a dozen young writers. Their talent is extra-ordinary and some of the phrases they make in English are all the more powerful coming from a language learner. With a recording intensive planned upon my return from Pokhara, I’ve switched my focus to helping them build up some articles to write over break. It remains an incredible part of my day. Though it took us longer than we had hoped to make it happen, Indu Miss, the Nepali teacher, came through on her promise to do a language exchange. I started tutoring her first. Every day I didn’t have journalism club I ride my bike to her little apartment in Mahliwar. We share Kuduko roti, a kind of Cassava flour pancake, and go over tenses and verbs. When I taught her about articles it was like her mind was blown. “So much new learning!” she exclaimed, over and over again. I wish I could master Nepali as easily as she is picking up English. I find myself waiting for that moment when I decide “yes! Teaching is what I want to do with my life!” but I do not think that decision, affirmative or negative, will come in a moment. My number one most used Nepali phrase is Ek Chin which means “hold on a second.” My second is Mero Nepali naRamrocha “My Nepali is not good.” These are, of course, the most important phrases you can know in any language. Together with “where is the bathroom,” Kaha Bathroom Cha?, That should give you a good idea of my Nepali prowess. I know enough to conduct a purchase or entertain a small child. Learning Nepali was the goal I had the least confidence in when I came here. I do not have the greatest felicity with languages. Latin in high school was my highpoint and it has been downhill since then. The practice aspect of it can be difficult, and while I have become better at building routines including languages. Perhaps it is the other alphabet, though I’ve learned to sound out Devanagari, it still presents me with many difficulties when I try to sight read. Sounding it out, then translating, frustrates me. Still, the fact I’ve learned Devanagari makes me happy. It is nice to sound out signs, even if I can’t understand them. Perhaps I shall learn to read all the scripts of the world and understand none of them. I remember a Twilight Zone episode I saw once called "People Are Alike All Over". I don't really remember what happens; I think astronauts land on Mars and the Martians are either nice, or cruel, or both. Probably some of you know this episode and exactly what happens, but for me the plot was negligible. What stuck with me was the phrase. "People are alike all over". It is - and was meant to be, I think - ambiguous. People are what, all good? People are all evil? Or people are all just people - all the slurry of human thoughts, emotions, hopes and dreams flows into the same sea. In a way, it's a phrase so vague as to be meaningless. So people are all people. So what does that mean? In a way, that is the question I secretly came here hoping to answer. What did it mean to have hopes, dreams and fear in Nepal, what drew people here or away from here, who was I in relation to all this, and how could I change it for the better? It's still an evolving question. I think, when traveling and adapting, there are two kinds of shocks the traveler faces. One is the shock of the new. This is, say, the lack of hot water, accidentally frying your electric razor because of a voltage difference, subsisting solely on rice and lentils. Every day. In Nepal I do things I've never done before: meditate, learn new languages, examine the infrastructure of rural computer labs. These are the things people commonly think about when traveling. A different shock, and a more insidious one, is the shock of the old, of time-worn feelings and problems which you didn't expect to find in your new location. In Nepal I do things I do back home: I fish, sit around bonfires, take walks, talk to people and listen to music. Sometimes I am sad, thinking about old problems or old problems cleverly disguised in new light, and sometimes I am happy, encountering new mysteries and modes of thinking and talking to people and catching fish. Of course, I'm not implying Nepal isn't special. Far from it. 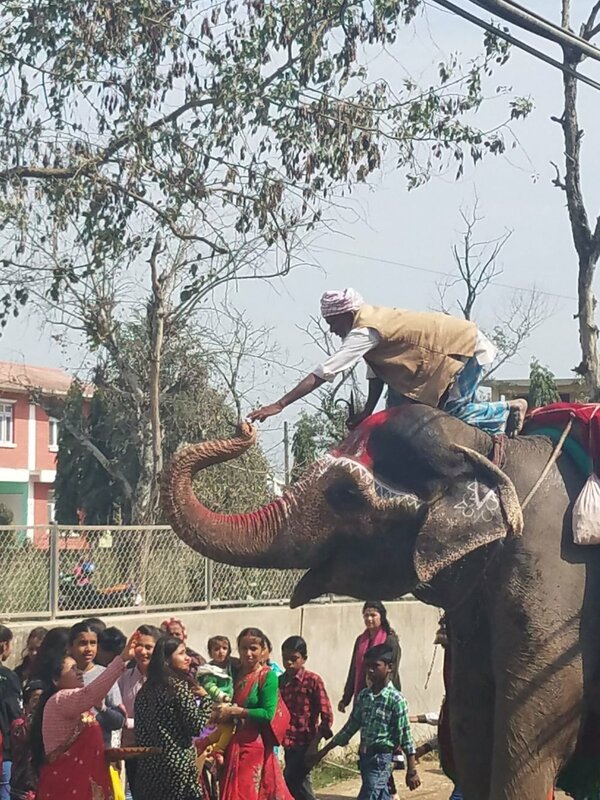 Nepal is a unique country. The people are, truly, the nicest and most unassuming I've met to date. I have literally never felt unsafe here, and not just because I stand a full foot taller than the population - I find even the idea of someone doing violence against me here as something I can't really fathom. People will help you, or at least try, even (or especially) when you don't speak their language. And the children, especially, are amazing. I think one of my most vidid memories is seeing a mural painted on the Metta school wall - some kind of acrostic for 'education' - about the limitless potential that children have for the future. And it's really true! the kids want to learn, and they study hard, and they're always asking me questions I am always happy to answer. They're curious, and determined, and it's heart-warming to see. If America is the country where anyone can do anything, Nepal seems like the country where everyone wants to do something which, in my opinion, is a much more valuable trait. Up to now, I've been focusing my efforts on shoring up their IT infrastructure at the Karuna Girls College. Nepal is a country where the people haven't quite caught up to the technology they're using: most people have a smartphone in their family, but aspects of cell phone and computer use someone in the West would find obvious are not as obvious of them. When I first examined the computer lab the computers were having trouble connecting to the internet, and all of the students (and teachers) were under the impression the computers all had terrible viruses, which of course wasn't true. It turns out that someone had uninstalled the correct computer drivers: user error is a big problem here. Another problem, which may sound quaint to us, is that of scams: the people here are much more susceptible to being misled about what is true and what is false on the Internet. Most of us have an intuitive sense of what to believe and what to avoid that Nepali people, with less experience, lack. Energy consumption is also a big problem. The computers they have are very big and rather old, and they take up a lot of power: this is bad because it costs money and because there are frequent power outages here. To help fix this, we are undertaking a campaign to replace the older, bigger computers with very small Raspberry Pi computers, which will use much less energy. After that, I'll spend some time teaching computer literacy courses. Hopefully, I can get a good foundation set up for when I leave. In conclusion, traveling to a new country doesn't change you. It can help change the way you think, and give you new opportunities to examine yourself. But ultimately only you are responsible for what you do and what you want, and following what you want and doing what you do. That is Nepal's true secret, which it taught me: only you can change yourself. I'm grateful for the opportunity to change things for the better here, and to be changed for the better by these unique people in this unique place. It truly is magical. Month one: Finding a foothold. This has been a month of exploration and impressions, of trying to develop a story, a narrative of the place I’ll be spending half a year in. I had been told by people who had taken the journey before me to control my expectations. It’s not good to imagine a place before you go there; it prejudices you, or leaves you disappointed. I laid a few basic plans: I would teach English at the Karuna Girls’ College, I would teach audio recording and editing to their journalism club, and I would do my best to meet the country where it was at. I tried my best not to imagine the future. This was hard for me, as I am someone who likes to think ahead in the most general of ways. Daydreaming myself ahead is one of my favorite pasttimes: to think of the things I’ll see, experience, accomplish. 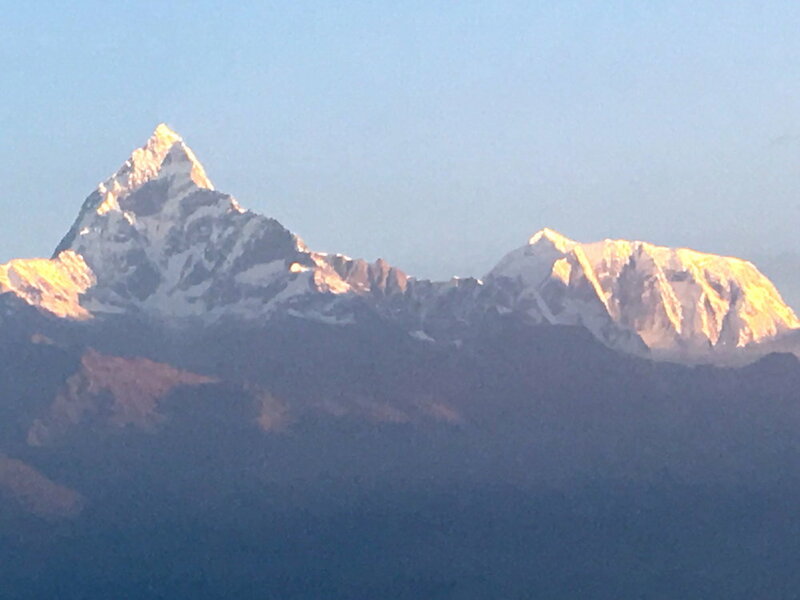 I kept Nepal a vague lacuna, all prognostication kept to “what comes will come.” And then the moment we got off the plane the sheer enormity of the undertaking swamped me. I was in Nepal and I didn’t know my schedule or my exact living situation. All I had were a couple guidebooks and some people to help me along. One moment I was in Kathmandu and one bumpy day of a car ride later I was in Lumbini. It was all rather disorienting. A school break and exams meant that we weren’t able to go directly into teaching or working for the school. Absent any clear curriculum, Schuyler and I did what we could: we took pictures for the Kapilvastu health clinic, and drilled Nepali with Alex, one of the medtechs in the Lumbini Emergency Response Network (LERN). We began to make friends: with Mahesh, local legend and director of the LERN program, Dharmendra, head of the crane sanctuary and Metta school veteran, and Alex, the aforementioned medtech, who shared her stories of volunteering with us and taught us our first Nepali. Gradually, I found myself forming routines and building little projects. 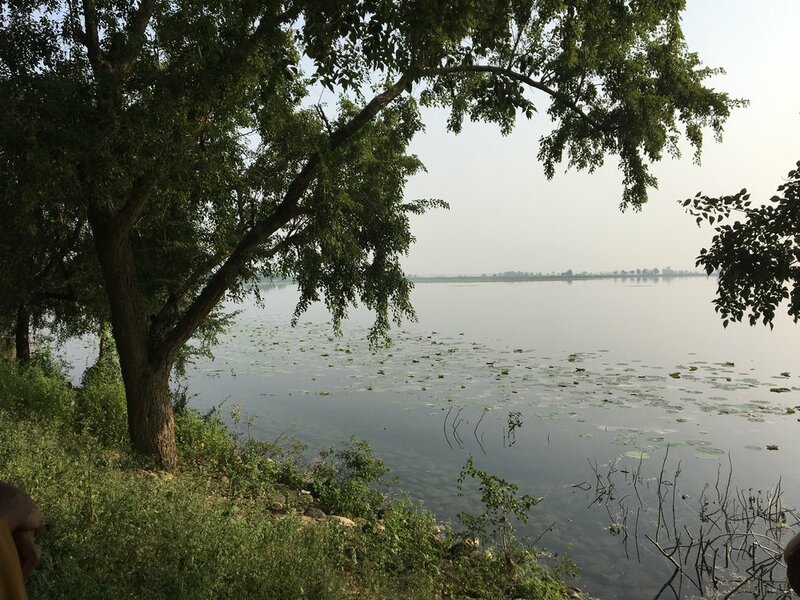 With my phone and the audio recorders I brought for the girls college, I started to explore the sounds of Lumbini and the stories of the people I met. 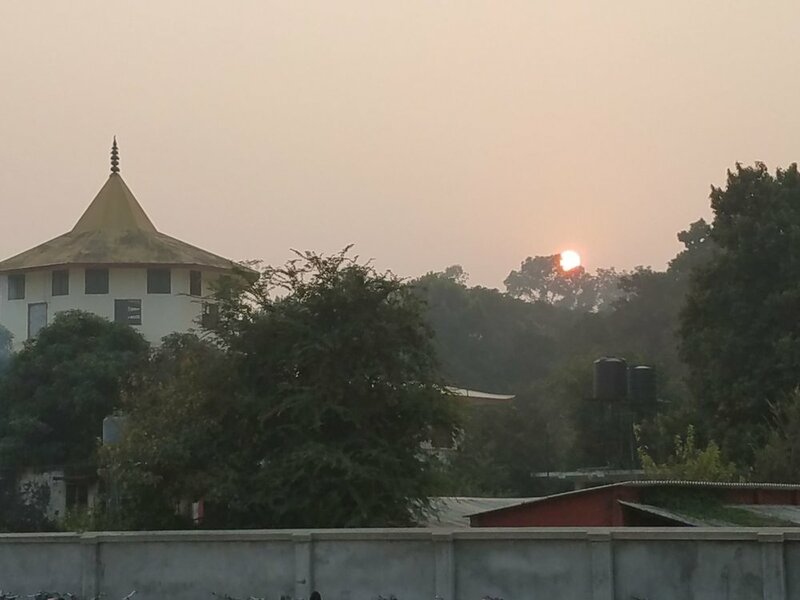 As we left our small hotel and moved into the Bodhi Institute for Peace education, I began to feel at least somewhat comfortable in Lumbini. Feeling at home in a place is a function of routine. If you can find repetitions and patterns, you can find a home anywhere, even if you only speak a little of the language, even if its halfway across the world. This new pattern was interrupted by a trip to Kathmandu we took to see Schuyler’s sister present on the research she did as part of SIT Kathmandu’s Program for the Study of Tibetan and Himalayan peoples. It was a bit of a shock to take the bus back only 20 days after coming to the Terai, but I found myself settling into routine again, going to the SIT presentations and recording them, interviewing newfound friends amongst the students, and trying out all the varied foods that Kathmandu had to offer. It is extraordinary to be able to conjure up that glad feeling, all these many years later. We said goodbye to our new friends after a week in Kathmandu and returned, ready to finally begin our work at the Karuna girls college, and rebuild our routines in Lumbini. I came down with a stomach bug the moment we came back, but it passed and I recovered, slowly but surely. We acquainted ourselves with Dr. Shankar and Mr. Sunil, the Principal and Vice Principal of the Girls College. They were both tremendously accommodating, and encouraged us to develop our own projects and integrate into the school however best we could. We got in our first week of work before the new year, and had a lovely Christmas at our favorite restaurant, GG cafe. As the new year dawns and I settle into my new home at the Bodhi Institute, I think I have finally found a pattern that works, a track to follow, at least for the next few months. I’ve made friends with several of the monks. We play games and meditate together. They’ve taken me to see their home villages, and Schuyler and I have been tutoring them for their exams. The teachers at the Karuna girls school are co-operative and accommodating, and we’re experimenting with schedules; maybe Monday Wednesday Friday there, Tuesdays and Thursdays at the Metta school. It is invigorating, to teach. When a student discovers something, it is like the whole world falls into place. As for my recording project, the Journalism club at the girl’s school has taken to it like a fish to water. I can see a vision building, of them tracking down stories and distributing them with incredible passion. We’re planning to collect old folk tales, and save them as records of a quickly changing Lumbini. I want this to be a project that continues even after I leave for the states. There are still those moments when I am unsure of my path in Lumbini. But that anxiety is part of any trip, any job, any life. I am in a place now where I can live my priorities and plan and execute exciting work that can only be done here. I am so grateful to Annata, for giving me the opportunity to teach here, to record incredible sounds, to see the sun set over the monastery next door, to learn a new language, to plan out my future in this extraordinary country and beyond. I am doing my best to craft a narrative of my travels that I will be proud of, that includes and helps others. Whatever obstacles there are to making this story, its creation will have been immensely worth it. Kapilavastu is one of the poorest and most underserved regions in the Nepali Terai, despite its historical significance. This is the place were Prince Siddhartha, the future Buddha, was raised and lived until the age of 29. The foundational ruins of hie father's palace remains a sacred place for locals and an important pilgrimage stop for Buddhists from all nations. Close to 140 historical sites related to the Buddha have been identified within this region. There is also evidence, in this region, of ancient sites of potentially profound historical significance, as yet untouched by archaeologists. Currently almost 600 thousand inhabitants are a cultural mix of largely Awadhi, Muslim, and Tharu peoples. The economy is agrarian, with paddy rice and sugar cane as the major crops. A large portion of the young people rely on foreign employment. This is also a marsh region of ecological importance and biodiversity. 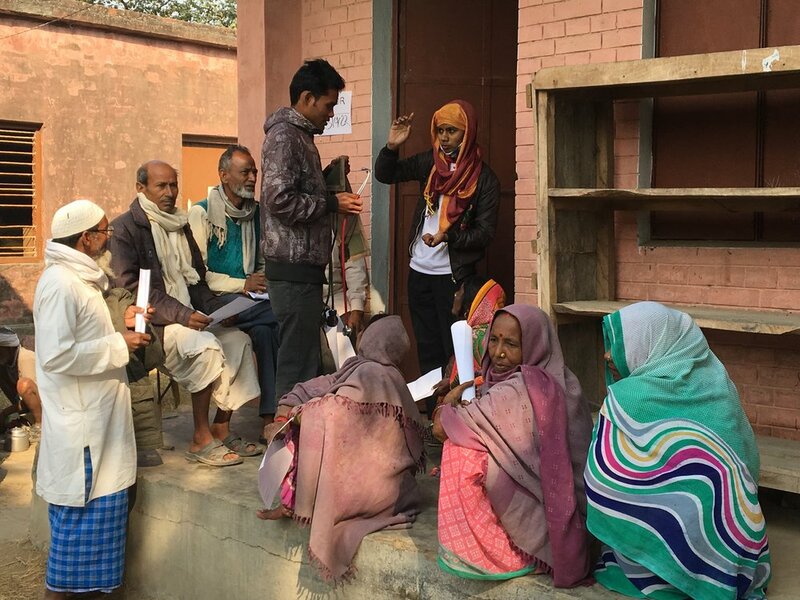 During the past year, our local volunteer team, headed by Rockey Tripathi, reached out to the Kapilavastu villagers to assess the feasibility of conducting a large-scale medical camp. It seems this area has not seen a medical camp in some 10 years as it is located rather remotely. Fortunately, the local school principal and his team were very supportive, and volunteered the school as potential venue. On further inverstigation, the site lended itself well to our needs. Local residents offered to supply lunch and chai tea to the entire team. We purchased the vegetables and they did the rest! HFN Dang, AMNs, and our International Medical Team treat over 1000 patients in 2 days! Early in 2017, the slow pace of earthquake re-construction got a boost from the Build Up Nepal organization who began a brick making training program for the Dadagaun villagers. Saru Tamang has graciously provided updates to all the sponsoring organizations, including Anatta. We are happy to share her photos documenting the progress. Saru Tamang Reports: "On May 7th, 2017 a foreign social development student visiting from England, doing independent research on women's roles in rural post-earthquake reconstructions projects along with Sabrina Dongol from Build Up Nepal visited Dadagaun. They interviewed the women who had taken part on making bricks. I have shared some pictures below please have a look." Saru Tamang reports: "Two of the earth brick houses have been completed and the people have started living on them. I have shared some of the pictures below please have a look. Thank you." My last full month in Lumbini was an eventful one! 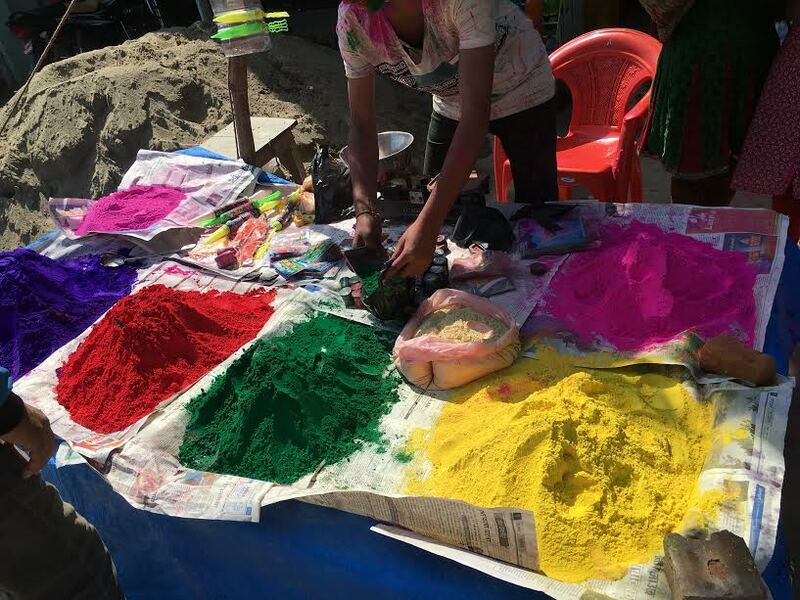 Although it was a time to finish working on current projects, Nepal’s calendar had great holidays and events in store for us throughout the whole month. The collection continues… So far we have collected student, household and health history information from over 300 students in the 3 local schools. With this information we’ve recorded that the students come from 61 different villages in the region and are part of nearly 80 different castes. In the upcoming school year the data collection will still be in process and will be led by LSSF members Dharmendra and Sudharma. This famous holiday celebrated in India and Nepal celebrates the good over evil. The mural project is almost complete! 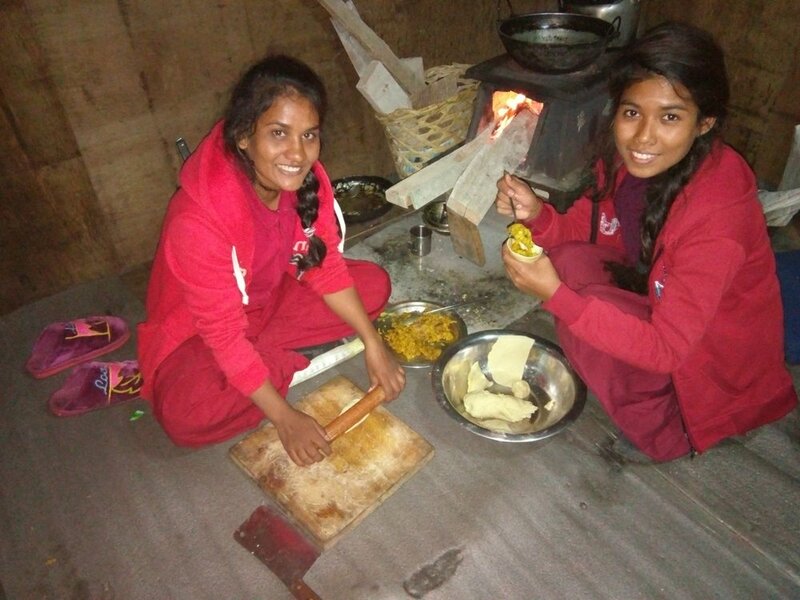 With end of year exams, the students at Karuna Girls College have been very busy preparing. But will continue as soon as the new school year commences. This is the first student led art project at KGS but will definitely not be the last. The girls are already planning to create more around the school. As I’m typing this final Lumbini update, I can’t believe six months have already passed. 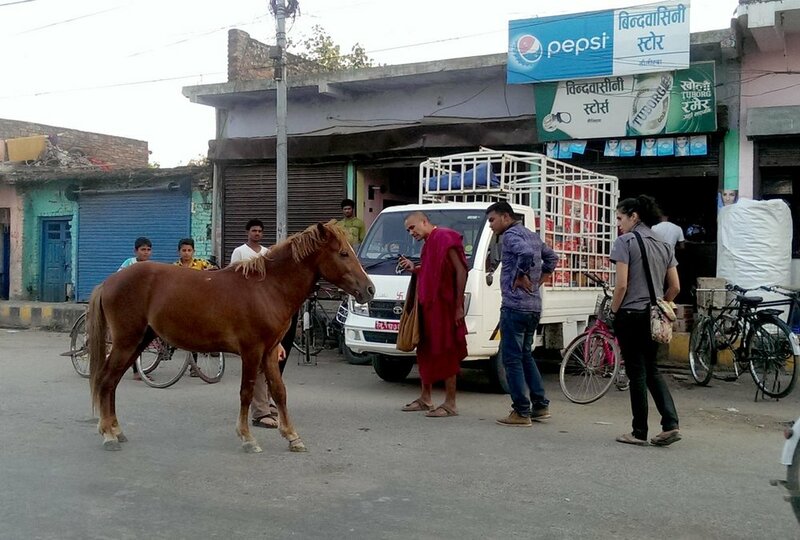 Life in Nepal can feel very strange. Almost as if I’m living in a different world. The experiences and emotions will be remembered and felt for lifetimes. In late 2016 Cornelia Santschi connected Henry Ashworth with Rockey Tripathi and an amazing collaborative project began. Rockey is well known to Anatta, and very much at the core of our international family. He is currently working in financial management in Dubai, but remains the main coordinating manager for so many of our health and education projects in Lumbini. 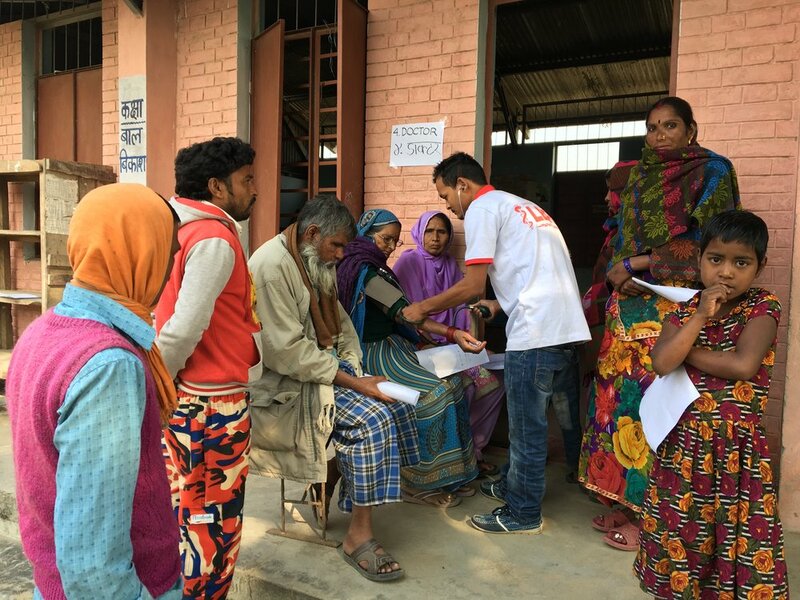 He was a force to be reckoned with during the post earthquake disaster relief, and there is no way we could manage our medical camps without his expertise and incredible LSSF volunteer network! Rockey is also working on a number of social concept projects which tie in with our local sustainability efforts. 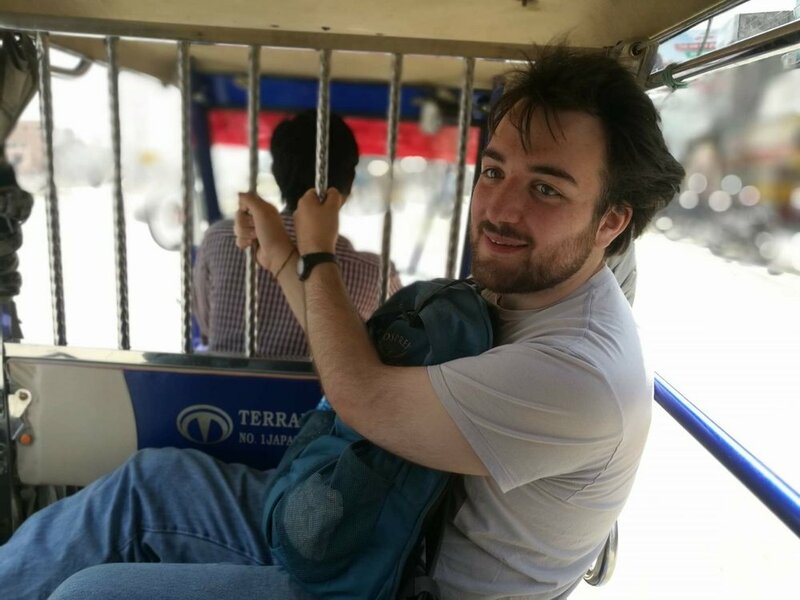 Henry is an EMT, a Master’s in Public Health student at University College Dublin and a current Fulbright grantee to Nepal. He is a former student of Cornelia's sister, Linda who wisely thought they might come up with a like-minded collaboration . 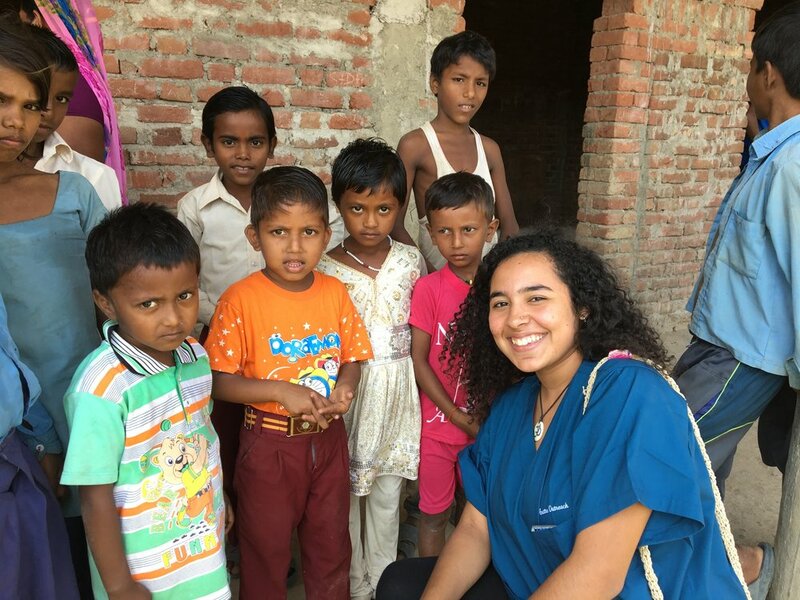 Henry went to Nepal in 2015 to work in some hospitals as an EMT and ended up with a 10 month Fulbright Scholarship. 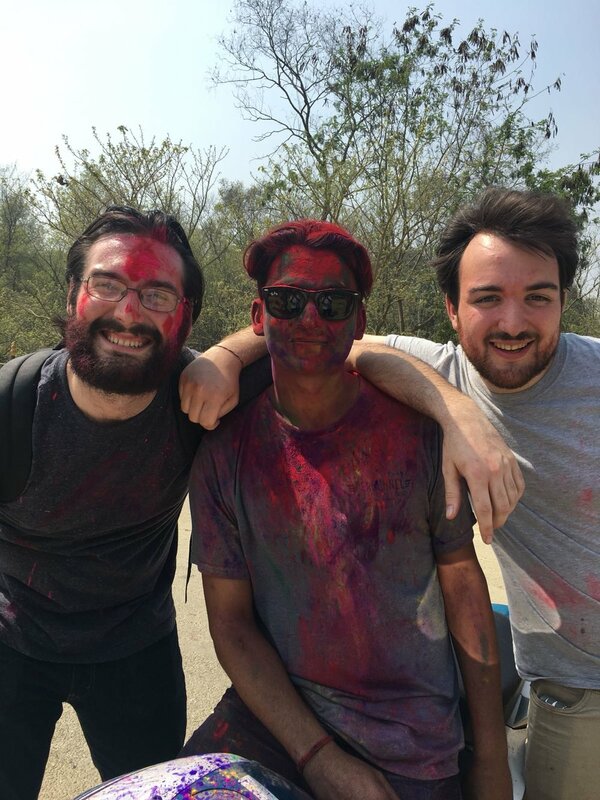 Henry is is also working on a project designing and implementing epidemiological data collection and analysis in Lumbini as part of his Master's Thesis. We intend to incorporate this information with our medical camp data to more fully understand the population our hospital will serve. 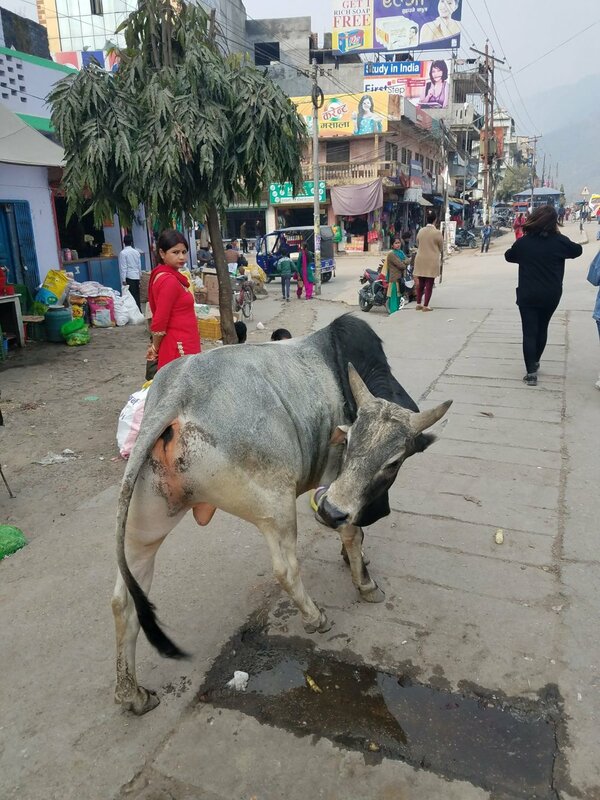 Located in the Lumbini zone of Nepal, the rural city of Mahilwar is a 45-minute motor vehicle ride from the nearest hospital. Without an ambulance service to serve this region, residents of Mahilwar and its satellite villages do not have access to medical services when emergencies arise. The 2015 earthquake in Nepal also highlighted the need for emergency response services suitable for difficult terrain around Mahilwar. Working under the auspices of Lumbini Social Service Foundation, project leader Henry Ashworth is working to create the self-sustaining Lumbini Emergency Response Network (LERN). LERN’s mission is to provide emergency transportation and basic first-aid services in Mahilwar and a defined ~10km surrounding rural area. 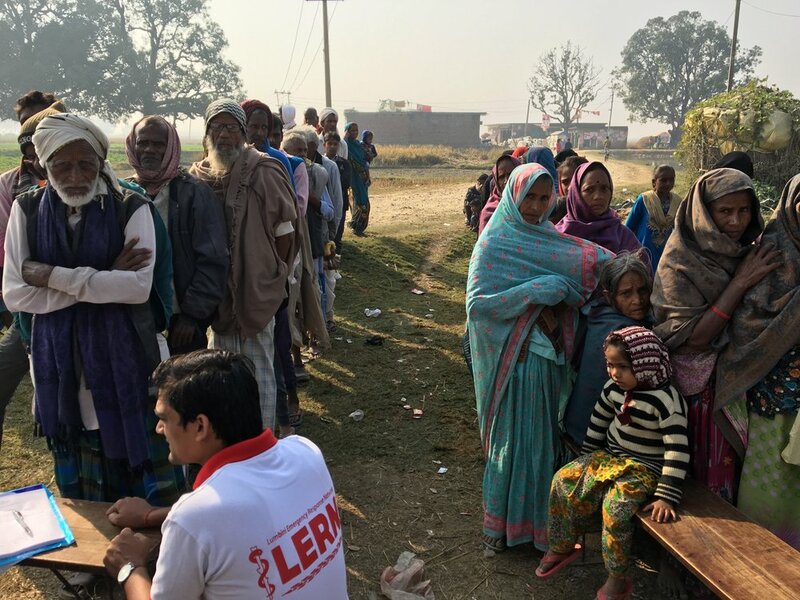 LERN will serve those who, because of terrain or inadequate medical infrastructure, cannot otherwise access medical services in an emergency situation. A variety of funding models are being investigated, but the current expectation is that user fees will be levied based on ability to pay. This sustainable model, once proven, could be applied to other organizations and locations in Nepal. Twenty volunteers have already been selected to serve in LERN. US-certified emergency medical technicians Henry Ashworth, Zena Marpet and Haven Allard, are utilizing their past experience in emergency response training, are preparing the LERN training program based on curriculum from the US National Registry of Emergency Medical Technicians. Henry and Zena will be donating their time to train the recruits and set up a continuing education program comprised of training videos accessible on the Internet in addition to annual in-person training through a partnership with the Eckerd College Emergency Response Team. Also, Eoin Minnock and Bronte Jong, two of fourth year medical students at University College Dublin are providing medical guidance, research assistance and support. The missing project component is transportation. A projected US$6,000 is needed to purchase a new motorcycle and cover startup costs for supplies, gasoline, motorcycle maintenance, and public outreach for the first year. After one year, local funding from services provided is anticipated to cover annual costs of the project. Once funding is secured for first year costs, training of the volunteers can begin. LERN could begin offering services within 6 months after funding is secured. It doesn’t take a while to notice that the students at Karuna Girls College are very passionate about music and arts. Lumbini Social Service Foundation volunteers, Vanessa and Olivia spent much time teaching the students about music and essentially helped them fall in love with it. During the first week of February a few students came up with the idea of teaching guitar to other students who are interested. Since there isn’t a permanent music teacher at the moment this is a way for them to continue playing on their own and share their knowledge with others. Other students who are more interested in art spend their morning free drawing and painting. But surprisingly the following week a new temporary guitar teacher came to the afternoon music class. Barun Sawhney is a medical student from Lumbini and studies in Bhairawa. He had a few weeks off and heard about the KGS music program through the school’s principal. Throughout his time with us he has taught over twenty students from four different grades. He is currently teaching the class a Nepali song called ‘Jaha Chan Buddha Ka Aankha’ which translates to ‘Where Buddha’s Eyes Are’. The students are preparing to perform the song next month. 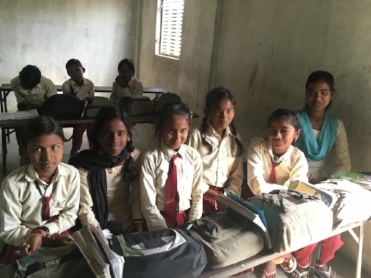 On February 16 a group of LSSF volunteers took a trip to the district of Kapilavastu in search for a school where Anatta’s next medical clinic could be held. Most of the villages in Kapilavastu are some of the poorest in Nepal. The families here do not have access to health care and most times live their lives without a single medical checkup. The next medical clinic here will be Anatta’s first in the district. 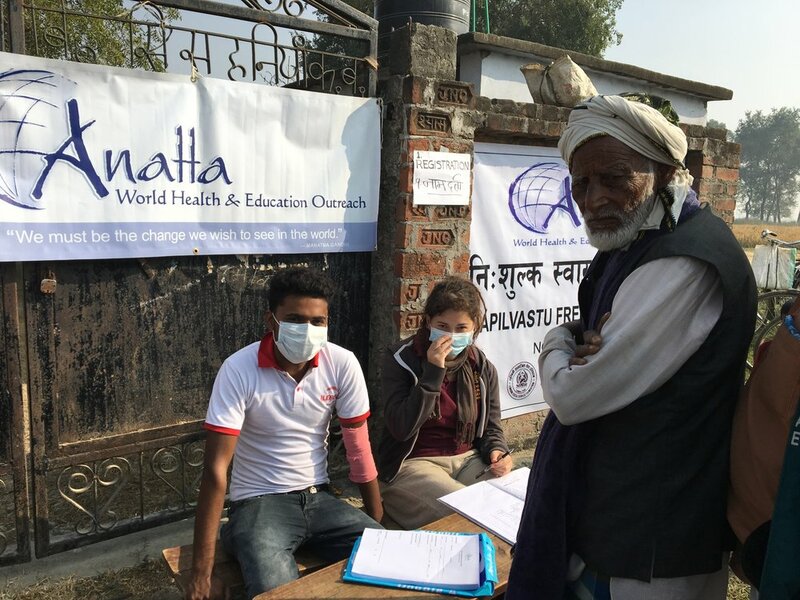 Previous medical clinics were held in the neighboring district of Rupandehi in Punnihawa. Happy New Year from Nepal !!! During the first week of January the mural team at Karuna Girls School started bringing their sketches to life on the wall of The Lotus Room (the music and art room). A small team of 10 students planned and designed how the mural would look, using art which was submitted by students in the school. This project was started and managed by LSSF volunteer Franzi and now myself. The girls are very dedicated to their work. Every day they come in, stacking chairs and tables up high to create huge mountains and beautiful trees. 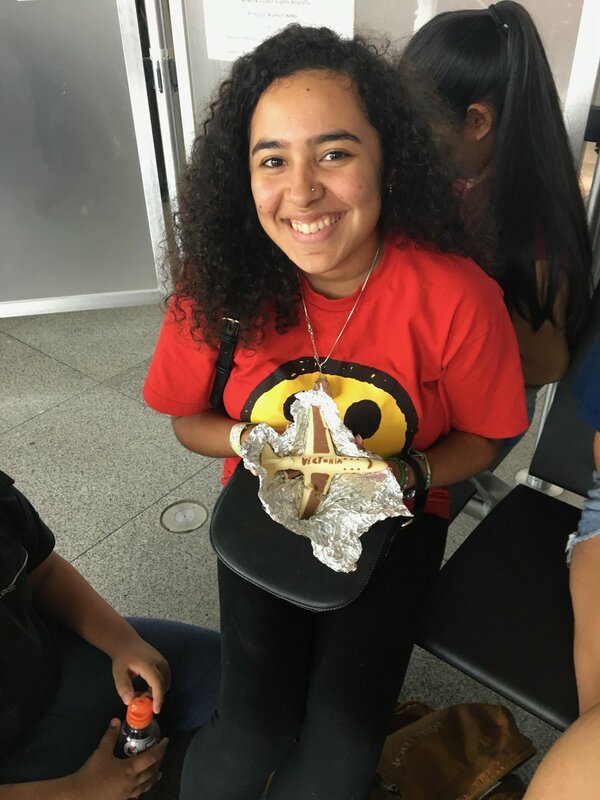 This project promotes creative thinking for the girls by allowing them to make their own decisions as a team and letting their ideas flow freely. On January 15 the group of Eckerd College students spent a day clearing a path at the Crane Sanctuary. A new well was also being drilled, making the space more suitable for visitors. The following day the Eckerd group took a trip to Metta School for an afternoon of gardening. Many different trees were planted including a few banana trees! In the past gardening projects at the school weren’t successful due to lack of maintenance. This time we have high hopes that it will be different. Metta School now has an environmental club where a group of students are responsible for the care of the plants and regular trash cleanups. 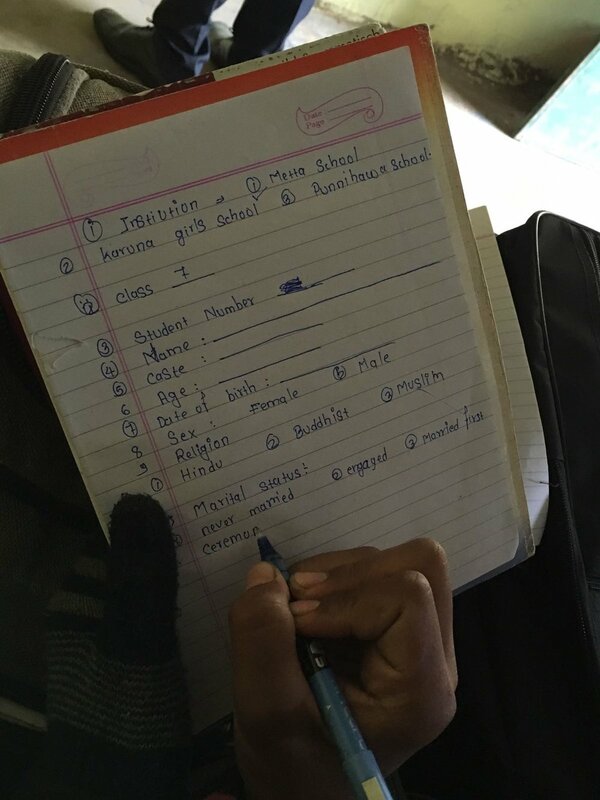 On January 26 the first day of data collection at Punnihawa School begun. Metta Family volunteer, Dharmendra, and I started the collection with the oldest students, class five. The population of students in Punnihawa School is much smaller than that of Karuna Girls School and Metta School. Many children in this area still do not attend school despite the easy access to it. With the students’ data we hope to understand their lives and the lives of their families much better, so we can serve them better in the future. "Tsum Valley is one of the hidden cultural treasures of Nepal. In the northern Gorkha district bordering Tibet, it is tucked away between the four great Himalayas : Himalchuil, Ganesh Himal, Buddha Himal, and Sringi Himal. Because of its remoteness, inaccessibility, and high altitude, the Tsum Valley has remained virtually unaffected by the global chaos of commerce, development and exploitation of nature. Indeed for centuries, Tsum valley has been known as a hidden valley of happiness, rich with ancient art, culture, and spirituality." "The earthquakes of April 25th and May 12th, 2015 caused immeasurable destruction to the Tsum Valley. The temples and monasteries that crumbled were not meaningless constructions: they were a heritage. In every stone, a story, a thought, a feeling, and a lifetime of perseverance and knowledge. Perched precariously on the side of a mountain, Gompa Lungdang, or, the Lungdang Nunnery, was an eight hundred year old story. As a place of tradition and a place of liberation, it is worthy of acknowledgment, remembrance, and reconstruction." "The proximity of Tsum Valley to the epicenter of the April 25 t h earthquake resulted in catastrophic damage to the Lungdang Nunnery. 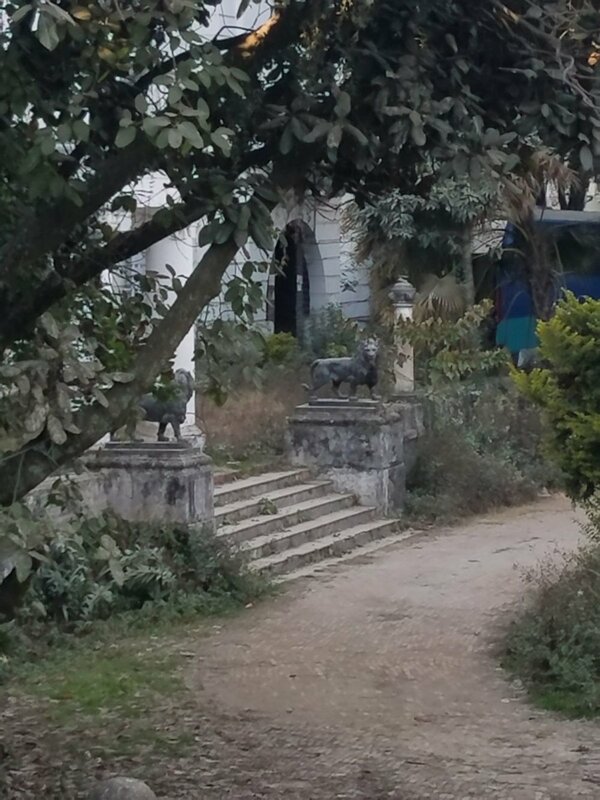 Dharma hall, kitchen, retreat building, storeroom, nun’s living quarters, statues, scriptures, paintings – heritage, history, and home – broken and buried. At the foot of the Ganesh Himal, the Lungdang Nunnery is a five day walk from the nearest road under normal circumstances. However, landslides triggered by the earthquakes and their aftershocks have created impasses limiting any hope for relief or rescue to air travel. As a result, assistance has been scarce. Gompa Lungdang in particular is dependent on surrounding villages for survival. Although the Tsum Valley has received some tents, food, and medicine, with limited food and resources for themselves, villagers can spare little to support local nuns. If the harvested barley cannot be properly stored this season, all inhabitants of this devastated region will be under threat of famine." The Tsum does have its incredible rewards - not the least of which are the spectacular scenery and the warm-hearted people. Please enjoy the photos and check back as we gather some of our ANM's favorite stories to share. Dadagaun Village, in the hills above the Kathmandu Valley of Nepal, suffered significant damage in the April and May 2015 earthquakes. Anatta and many others have been supporting rebuilding efforts, but progress has been very slow. Build Up Nepal has initiated a 16 day brick building training course for 10 of the most committed Dadagaun villagers. The hope is that the skills acquired in training will generalize to get the entire local community up to speed. One of the disaster relief efforts many of us supported here post-earthquake was to import compressed earth brick making machines from China, largely orchestrated through our friend Steve Webster of Shivapuri Cottages (see Partners and Friends). The early stage brick making process revealed the need for greater expertise in order to mix correct amounts of earth, sand and cement for earthquake-resistant brick strength. Build Up Nepal is now providing that expertise. Once government approval is obtained, the villagers should be able to access additional rebuilding grant funds. Saru Tamang also shared photos of Dadagaun villagers finally rebuilding from 2015 earthquake damage after receiving the long awaited first installment of government funds. Shown below are " Houses #30, #16, #32, #42 and #51". Thank you SO much to all who helped; as you can see there remains much to be done. Natalie Hernandez is back with her monthly update. Read on and be inspired! Following on the 12th of December, the first ever LSSF Data Collection was carried out at Metta School. Volunteers and teachers were trained to assist in the collection of student and household information for classes 5-8 (Phase I). The goal for this collection is to gain a clearer understanding of students and their families to better serve them and their community. With the data collected we can form accurate statistics on education, health history, child marriage and more. This collection will be carried out in Karuna Girls School and as well as Punnihawa School. Metta School is looking beautiful as ever! Students have been creating amazing paintings on the walls of their classrooms, from flowers to birds and more. Young artist Sunil Harijan has been coming every Saturday morning to put his passion to work. Check out his latest painting on the class 6 wall. Learn how you can help our three Nepali Auxiliary Nurse Midwives begin their careers. Over the past 2 years Anatta and CEBA have co-sponsored an ongoing Auxiliary Nurse Midwife Training Program for local girls. The first 4 girls graduated in 2016. This is a remarkable achievement in a part of the world where girls are undervalued and often promised in marriage by 7-11 years of age! These girls have inspired their community and are true leaders of social change. Three of our ANM nuns, Mudita, Dhammadhina, and Sudharma have offered their services as volunteers in the Compassion Clinic in the Tsum Valley of Nepal. This region in the high Himalaya was devastated in the massive 2015 earthquakes, and is now accessible only by helicopter. During the earthquake recovery efforts conducted by our group in this region, a strong bond was formed between our Lumbini team, Global Karuna, and the Compassion Project in Tsum. Our first ANM graduates are now growing this connection by offering their medical services to this remote region. 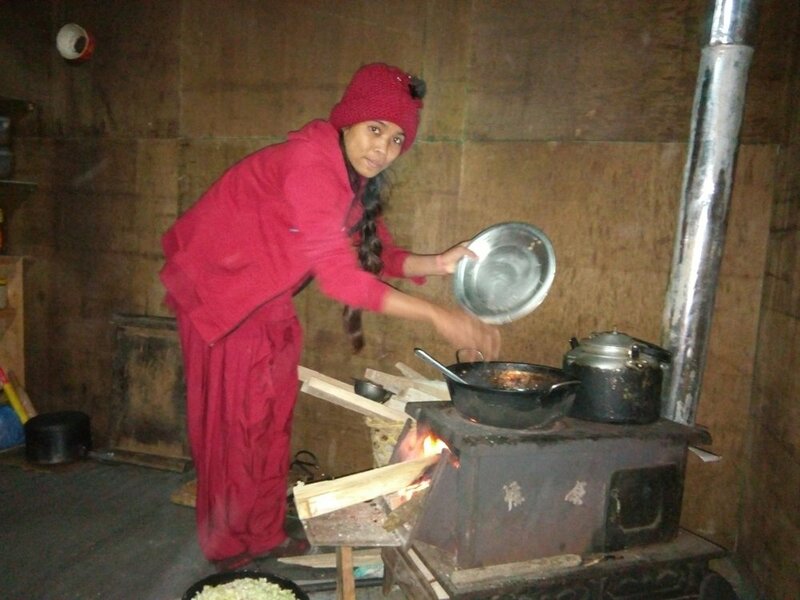 This means that our ANM novice nuns will live for a year in this isolated region of the Himalaya, in a climate and culture that is completely unfamiliar to them. Growing up near sea level in the warm Terai on the India border, they have never before been in a high mountain nor snowy climate. They will also need to learn a new local language to communicate effectively and care for their new community. Anatta is inspired by our ANMs courage and willingness to begin their careers in this way, completely without financial compensation. Although our ANMs have no expectations of financial gain, we understand that without a salaried position, they will not yet have fulfilled their career goals. Our educational programs aim to empower local women to become role models and change makers of their society. Without compensation their achievements will not be seen as useful, valuable or sustainable; standards by which society will measure their success. Women are held to a higher standard in order to overcome the cultural bias keeping them locked in the traditional roles of child bearing and uncompensated manual labor. To break free and become true pioneers, these women need to earn a living wage. We intend to make this a reality and pay their salaries in this first year of their employment. With your help, we can encourage and support these future leaders to 'be the change'. You may remember Natalie Hernandez, Anatta's very first Reverse Scholarship recipient who returned to Nepal with our October 2016 Heavenly Himalayan Holiday group, this time to begin her gap year teaching English to our Metta School and Karuna Girls College students. As one of her responsibilities, she will provide a monthly report to Anatta summarizing the progress as our 'on-site' humanitarian. November has been a busy month! 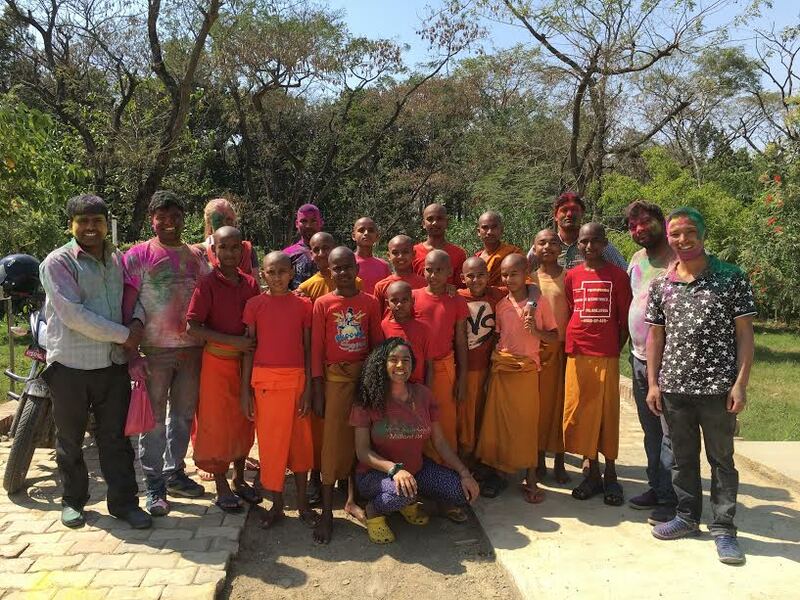 On November 5th the volunteers started the Metta School Beautification Project. This project was created by German volunteers Franzi and Carlotta with the help of Sell for a Well Charity and other donors. The goal is to repaint all 14 classrooms while giving students the creative freedom to paint their own original designs as well. Every Saturday a small group of students and volunteers come together to have fun and paint. So far 9 classrooms have been repainted and 3 rooms have student artwork. Soon the volunteers will go around the school and help students create artwork for a tile art project with the theme of friendship. 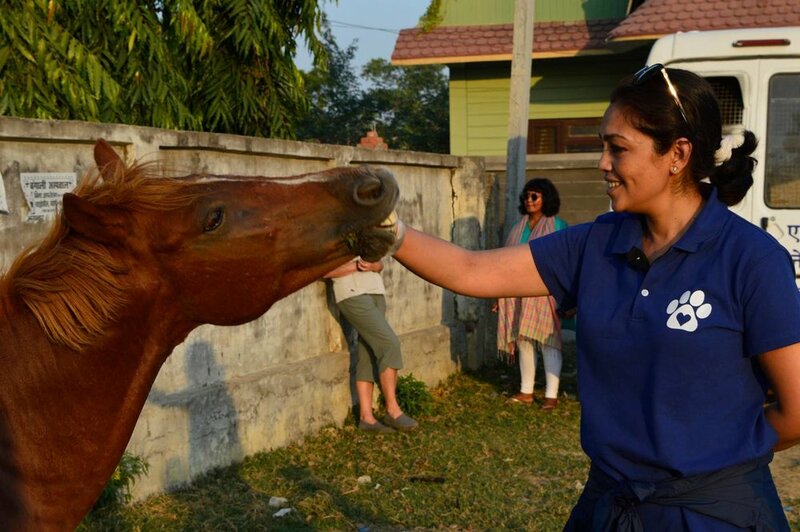 Following on November 8th the CEBA Lumbini Animal Clinic started with the tremendous help of Animal Nepal and Lumbini Social Service Foundation. The clinic which was held in Bodhi Institute ran for 4 straight days consisting of spay and neuter service, anti-rabies treatment, deworming and much more. The Animal Nepal team and volunteers not only ran around capturing dogs in the Animal Ambulance but spent time handing out information flyers. These flyers were used to help spread awareness/educate the village people on animal care. The number of treated animals grew each day ending with a total of 101 treated dogs! 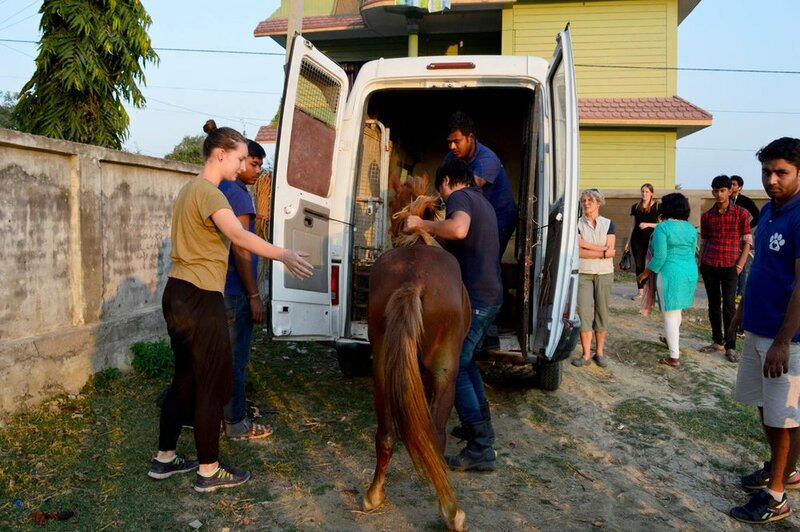 Towards the end of the clinic Animal Nepal rescued a poor work horse that was suffering from a terrible wound on its leg. 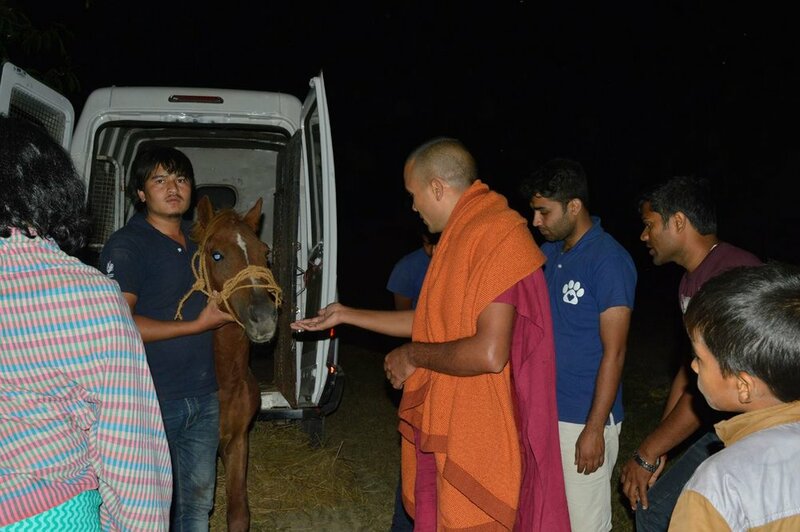 The horse was very malnourished and couldn’t walk correctly. Now “Harry” is staying at Peace Grove Nunnery, with a much better leg and lots of love. Although it is the second largest city in Nepal, Pokhara has a completely different energy than Kathmandu. The pace is slower, and the natural beauty of the lakes surrounded by the Annapurna mountains is beyond picturesque. Our yearly meaningful travel immersion trips often make time for a bit of trekking here - we are happy to support our friends at Three Sisters Adventure Trek who pioneered an all women trek guiding organization, educating, training, employing, and empowering Nepali women. 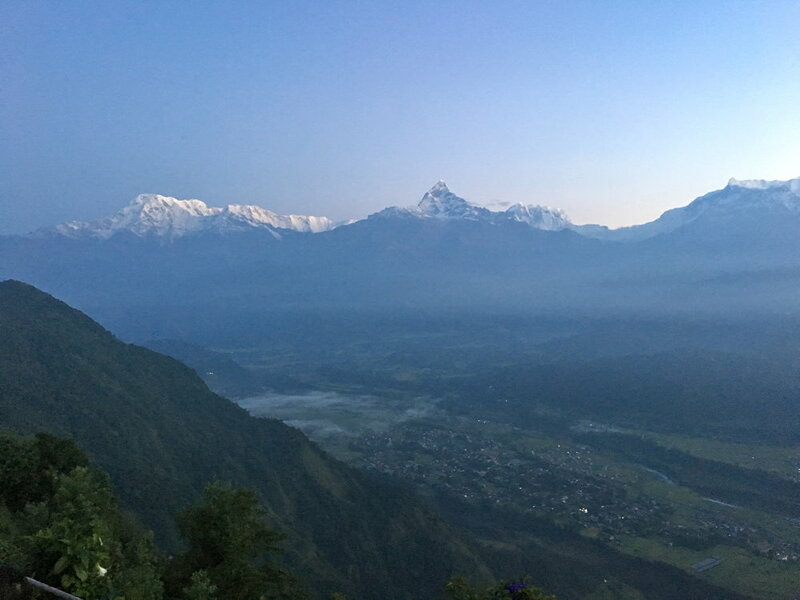 This trip we had no time to trek, but so appreciated the magnificent sunrise from Sarankot highlighting the majesty of Machhupuchhre and the Annapurna Range. In preparation for full moon day festivities at the Peace Grove Nunnery, our nuns and several of the village moms start the meal preparations early. The sickle with the curved handle the woman is using to slice cucumber squash is also used for harvesting rice. In this case the multi-purpose tool is easily held with the foot while the hands guide the slicing. Quite efficient! To be in the presence of the ancient Buddhist Stupa at Boudhanath is an incredible experience. It is one of the largest stupas in the world, and houses one of the largest populations of Tibetan refugees around the perimeter of the numerous monasteries in the inner circle. Tibetans have been traveling this way for centuries - as the Kathmandu valley is part of a very ancient trade route. This UNESCO World Heritage Site was badly damaged in the April 25, 2015 earthquake that rocked Kathmandu. The scaffolding present in this video has just recently been removed and the site is almost ready for re-consecration. What have we accomplished in 10 years?